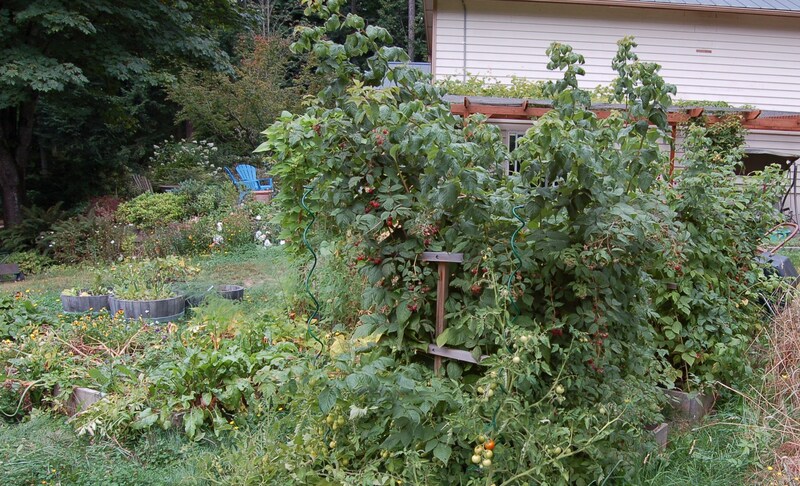 This entry was posted in Gardening and tagged apples, blueberries, figs, grapes, greenhouse, lemons, plums, raspberries. Bookmark the permalink. The fruits and berries look really beautiful. Such a bounty you have in your home orchard! I’m drooling. What’s your favorite apple variety? 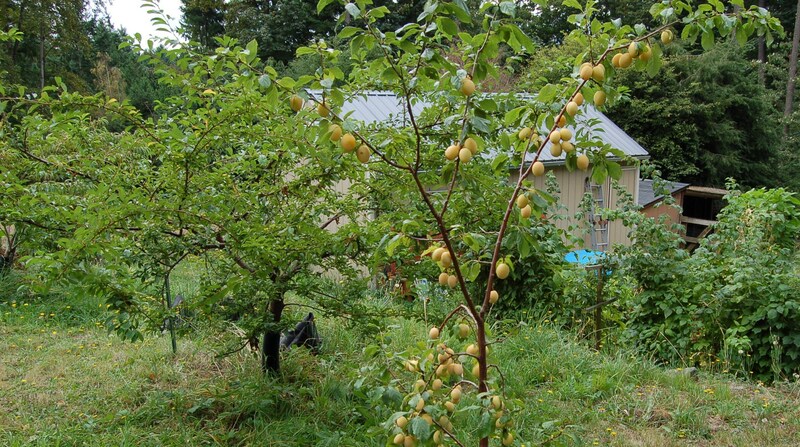 And I’ve always wanted to plant a Schoolhouse plum. Yours looks fantastic. Thanks Laura! I feel really good about our fruit and berry set up. If only I could grow a broccoli. Tom, our favorite apple is the one pictured above. I believe it is a Winesap. That is the closest description that matches. The apple looks like it has a purple sheen, which rubs off to a bright red, and it has a really nice spicy taste. It also keeps well. We also love Gravenstein for sauces and cooking, but our two Gravensteins haven’t been great producers and they tend to be higher maintenance. 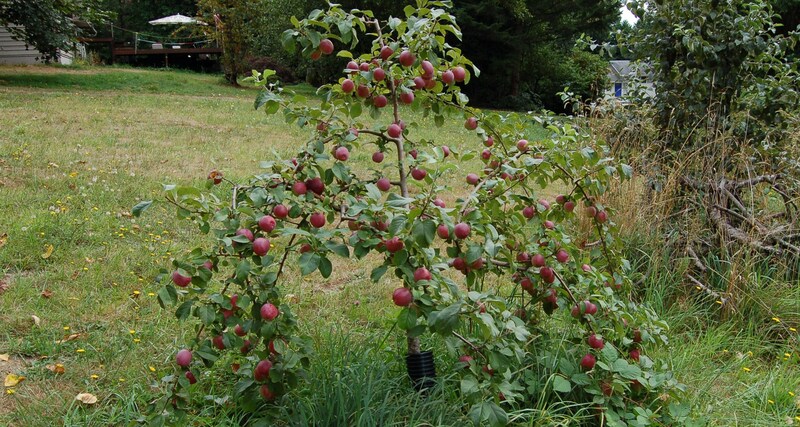 The Winesap doesn’t have disease issues. I have about a dozen different varieties in my garden, though most are only a few years old so too young to produce. Oh, I forgot to add a picture of our Honeycrisp apples. 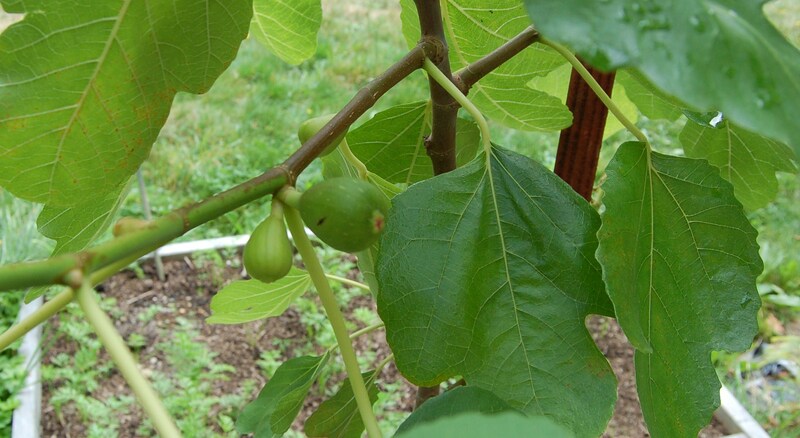 These are on a youngish tree and I am very optimistic about this variety in our yard. They do not look diseased at all. Love the grape arbor! 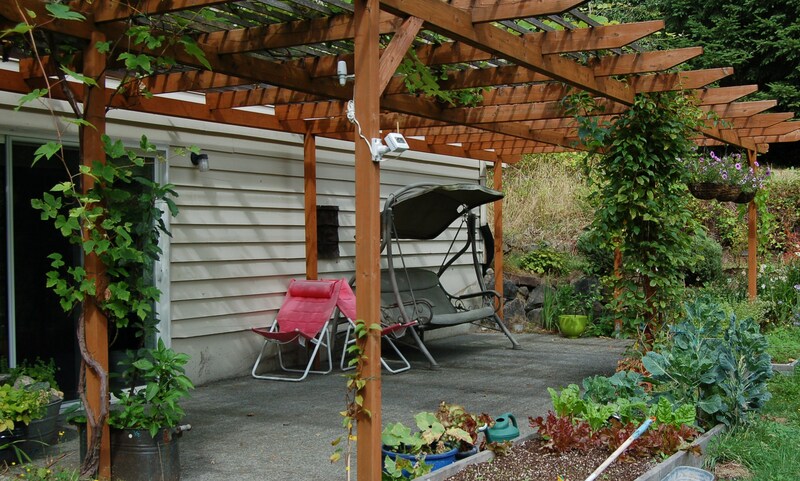 Someday I hope to build a pergola over our deck for the grapevine. We aren’t there yet, though, too many other projects on the AAA list! Hope you get to try the pepper spread. The bruschetta sounds fab, did you find that recipe in the Ball book?